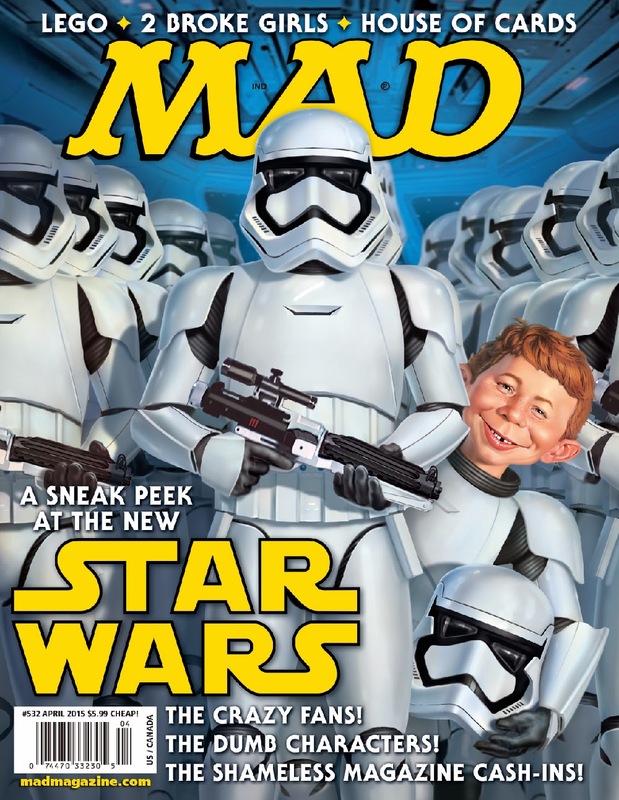 The cover for the issue, #532, features Alfred E. Neuman dressed as a The Force Awakens stormtrooper (below). The issue also features parodies of House of Cards, 2 Broke Girls, Lego, and more. 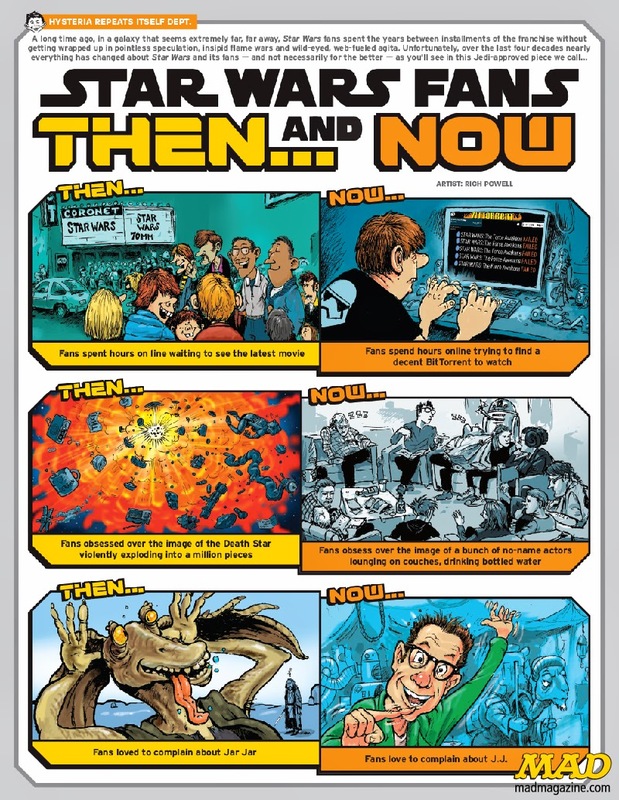 This is hardly the first time MAD has parodied Star Wars. 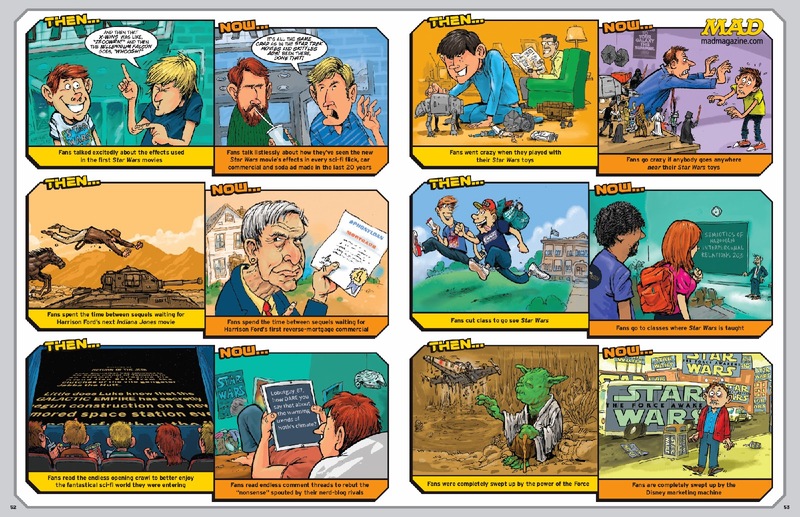 The relationship between Mad Magazine and Star wars goes all the way back to January 1978 and since then Star Wars has graced the cover ten times, and been featured within the pages of MAD countless times. You can subscribe to MAD Magazine here. LOL this is great! this sounds so much like the prequel haters ha ha! they do love to complain about CGI, Jar Jar, JJ's Star Trek...nearly everything...this is great! things definitely were so much better before everyone thought they were some stuck up snobbish pretentious uptight wannabe film critics...Thanks Mad! I hope you all enjoy it as much as I did drawing it! I'm a big fan...all the way from '77!